What ways would you like to share your journey? Make a photo collage or just upload photos to social media? 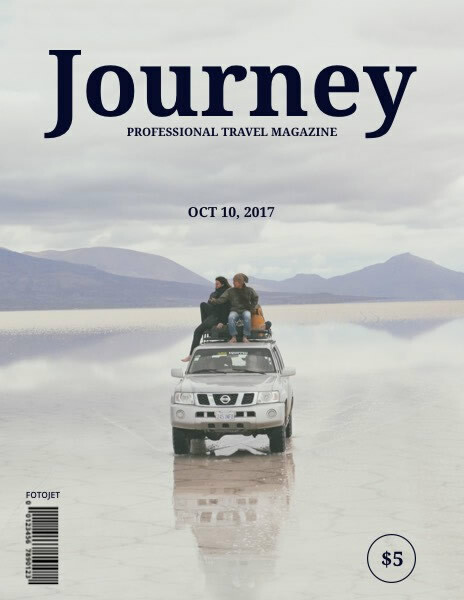 FotoJet’s magazine cover maker provides a new and cool choice for you. It enables you to customize the pre-designed magazine cover templates like this one to get a custom creation. Except for massive delicate templates, FotoJet also provides beautiful art resources and powerful text and photo editing tools. So you can make a personal touch by styling the text in different fonts, adding more clipart images, and modifying the effect of photos freely.